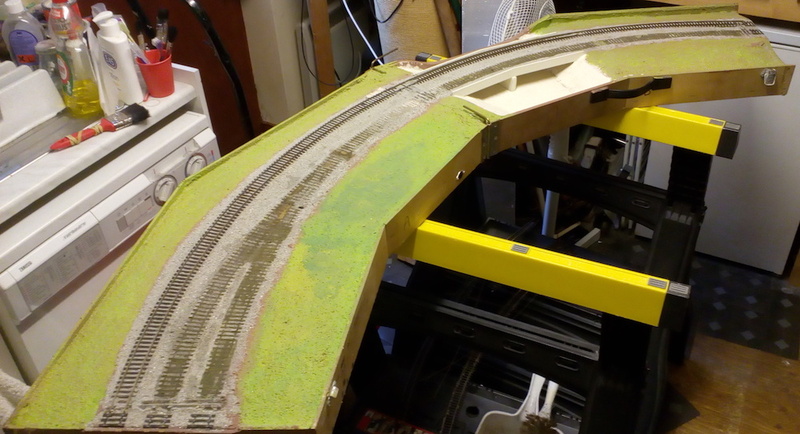 I'm rebuilding my last double track corner into a single track standard module. So far I've removed the inner track, the outer will remain and become the new single track. The board ends will be made to 18" wide and new legs need to be made. Wiring is pretty much ok as is. Some scenery remaking and that will be another corner for the modular group. Nice one Mike, looking forward to the end result. The new ends and sides are now fitted, next the leg sockets. Problem is the half with the bridge has the board inverted, i.e. the deck is on the bottom. I think the multitool will earn its keep here, a brilliant tool for cutting in tight awkward spaces. Dean, if you mean changing the board. 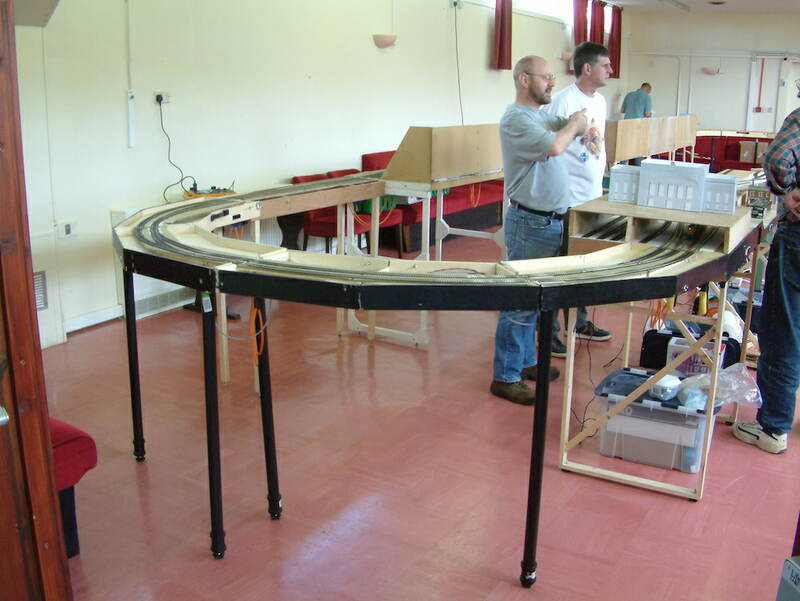 It used to be one of four 90º corners used with our old double track modular layout, see photo. These corners went out of use when we changed to single track modules. I made one into a single track module, another became the corner on 23rd Street, I gave the third away and so this is the last which has been in the loft for a few years. I widen them out to 18" the modular end standard, fit my leg sockets so it use my common leg design and make the track and wiring to the standard. This is easier than building a new module and a good bit of recycling as were 23rd Street's boards. Not only have I reused the corners, but my 23rd Street module is built from three boards I made in the 80s! They used to be the front of a continuous exhibition layout, then spent about 20 years in my loft before reuse. They were 18" wide just right for the single track standard. I still have the rest of the boards for that layout, but no use for them as yet, plus the sector plate fiddle yard of another layout.